True to its educational theatre mission, DreamWrights provides a safe and supportive environment for learning. From getting in touch with your emotions as an actor to creating an emotional mood on the stage as a designer, you’ll find official and unofficial mentors both onstage and offstage at DreamWrights. York Catholic High School sophomore and inspiring Lighting Designer, Susie Konstans, has participated in more than seven shows at DreamWrights on scenic crew, lights, sound, and costumes. 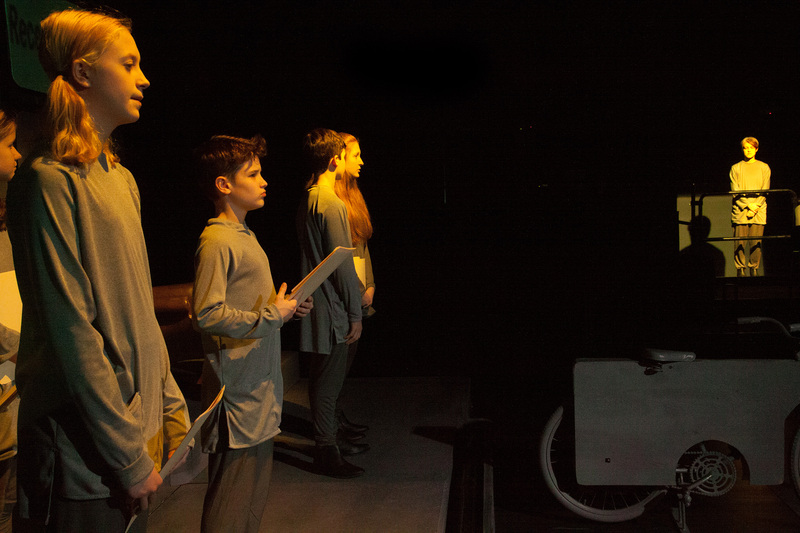 With exposure to just about everything behind-the-scenes, she quickly realized that lighting design was where she felt most at home. 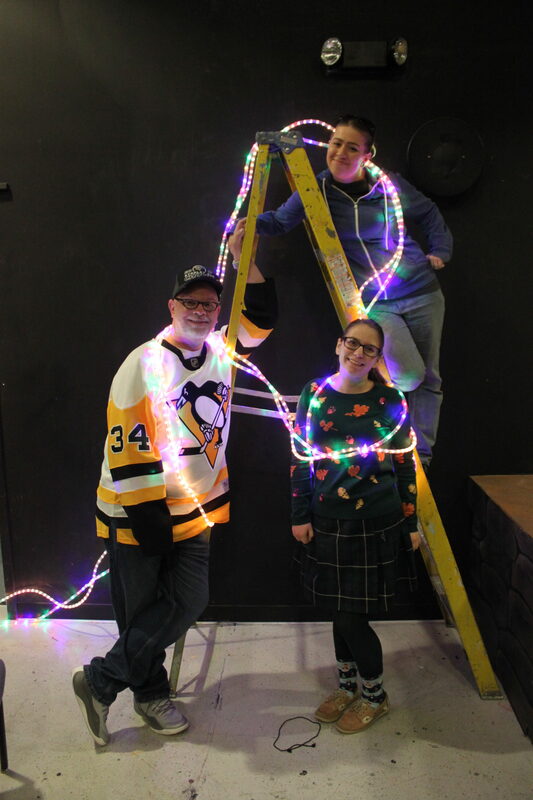 Modestly, she asserts, “I like lights because it is what makes the show.” As part of her learning about lighting design, Susie created a formal presentation that she shared with the entire production team. Quite an accomplishment for a high school sophomore! New to DreamWrights but not new to lighting design, Amanda Sealover is currently employed by Feld Entertainment, doing sound and lights for Monster Jam. But with a degree in interior design and a minor in Theatre, she was looking to get back into the local theatre scene. And by luck or circumstance, the paths of these three creative minds have crossed at DreamWrights. 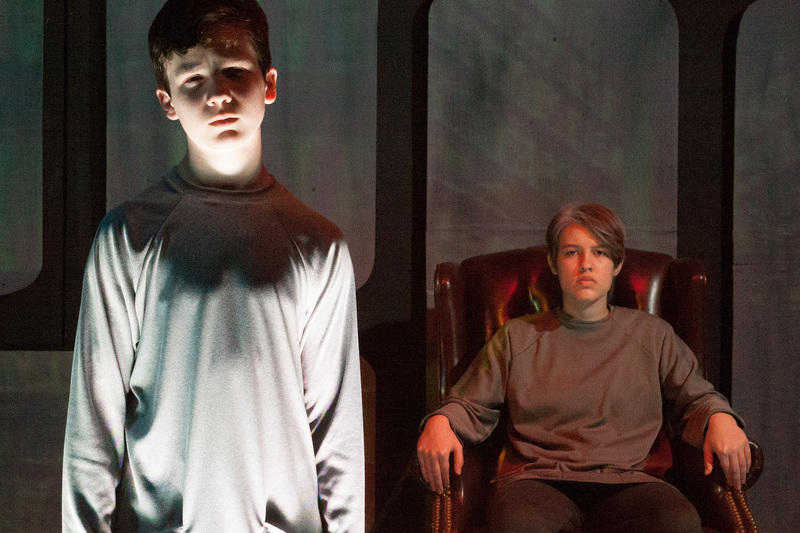 Come experience The Giver and see for yourself how the lighting design can transform the performance! The Giver opens March 1 at 1:00 pm and runs March 2, 3, 9 and 10 at 7:00 pm, and March 3, 4 and 11 at 3:00 pm, and March 8 at 10:00 am. Tickets may be purchased online or by calling 717-848-8623. Advance seats cost $11 for general, $15 for reserved. General admission seats at the door cost $13. This production is recommended for grades 5 and up. Please note that this production features auditory sounds of war which may be disturbing to some patrons. Strobe lighting will be used during this production. If you would like to get involved with mentoring or learning opportunities at DreamWrights, please contact Laurie Riffe, Director of Artistic Programming at laurie@dreamwrights.org or check out our website for upcoming auditions and crew opportunities.